​The corporate headquarters and manufacturing facilities of Needle Industries (India) Private Limited are located in the Nilgiri Mountains of South India. Pony's product range includes Hand Sewing Needles, Knitting Pins, and accessories. Pony's products and the Pony brand are known the world over for their excellent quality, durability, and value. The corporate headquarters and manufacturing facilities of Needle Industries (India) Private Limited are located in the Nilgiri Mountains of South India. Pony's product range includes Hand Sewing Needles, Knitting Pins, and accessories. 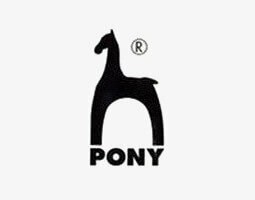 Pony's products and the Pony brand are known the world over for their excellent quality, durability, and value. One of the best seller's products of Pony's brand on Hobiumyarns.com is Pony crochet hooks with handle. Especially Pony Easy Grip has become more popular among the crocheters with its quality and price. Also for lace working, Pony is providing you ergonomic handled crochet hook for lace. Help you to work in lacework which needs more details and time. Pony aluminum series is the most well-known series of all Pony's products. With the material quality and great tip, made this series become classic products for all crafters. Not only classic one but Pony's also known as the company that innovates new things to craft market. You can see their new products and new designs all the time such as Pony Complete, Pony Slick, Pony Flair, etc.which made them different than another company.